I am so thankful for machines which help those who are disabled. 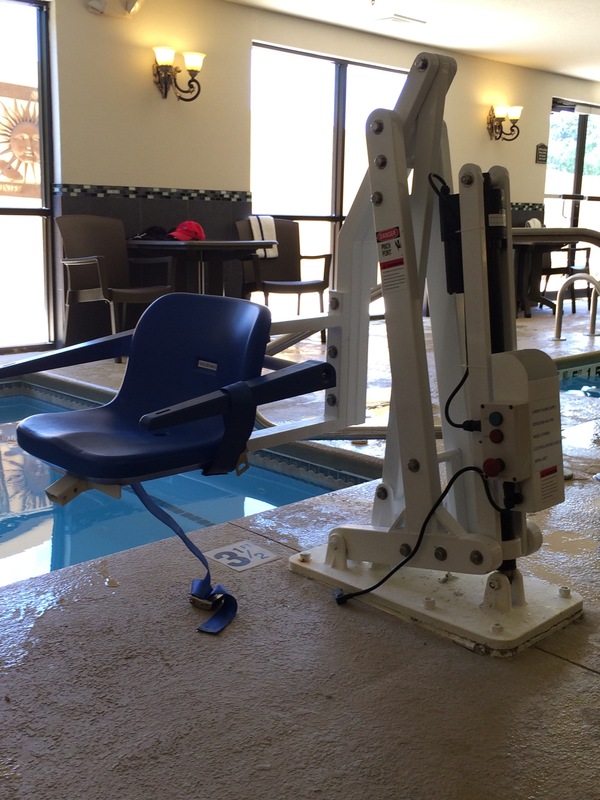 I know, I personally do not benefit from these items right now; however, I was sitting poolside at a hotel today, and what I saw caused me to start thinking… As I sat in my chair looking at this machine operated chair that is designed to help someone who cannot easily walk into the hot tub, I just simply thought of how thankful I am that someone had the knowledge to invent it. 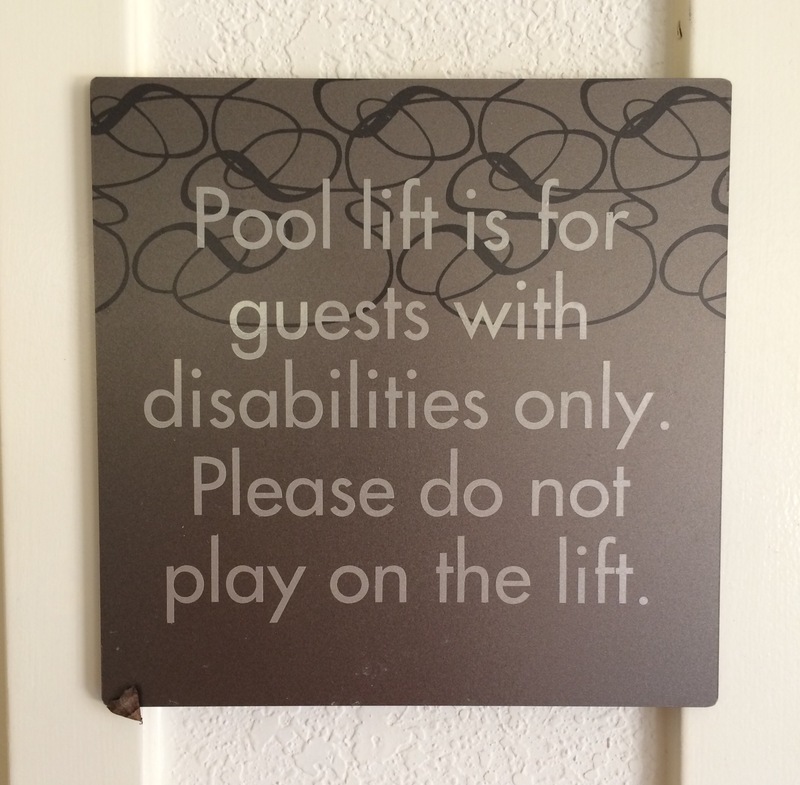 At this hotel, on the eastern side of Georgia, in this busy little town, there is going to be a young man, an elderly woman or even a little girl, who by all other means, would never get to experience the pool or hottub by him or herself. 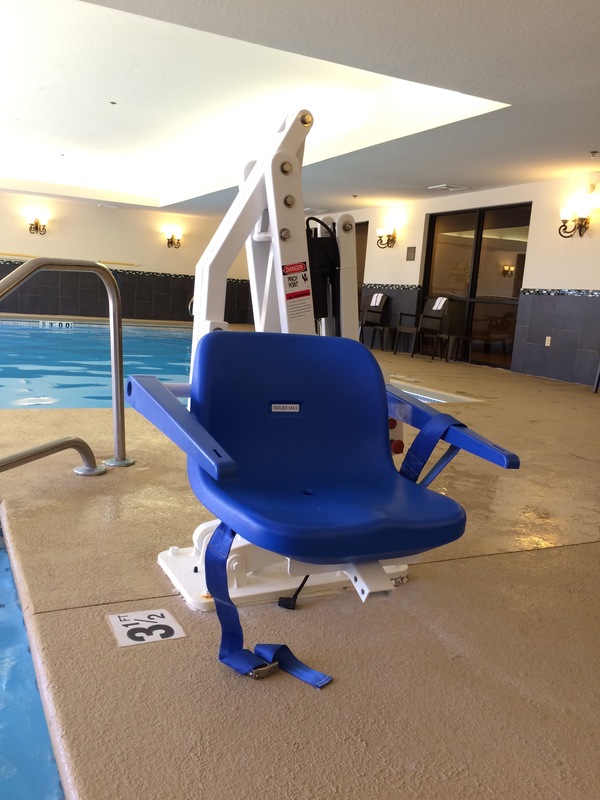 Yet, now, he can make his way into this power controlled chair and be lowered into the pool for a nice leisurely swim, or maybe into the hottub to relax and wash away the day’s stress. She will be able to experience the freedom of movement that I, too often, just take for granted. She will be able to enjoy the weightless abandon which only comes within the confines of water.